Allimax®''s sophisticated refinement allows us to capture garlic's active component, Allicin and deliver it directly to where your body needs it. 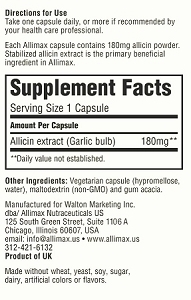 Ingredients: AlliMax® capsugel vegetarian size "3" capsules contain 180mg Allisure® AC-23 concentrated natural allicin extracted from fresh garlic. Casing is Non-GMO maltodextrin. Free from artificial coloring, flavoring, salt, gluten and preservatives. Suitable for vegans and vegetarians. Formulation: Size "3" vegetarian capsule containing maltodextrin, gum acacia and allicin. 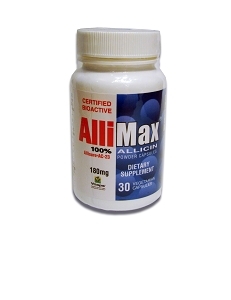 Dosage: Up to 12 capsules per day may be taken if needed, and just one capsule a day of AlliMax with food can be beneficial for health and well-being. It is easily absorbed. Amazing product. 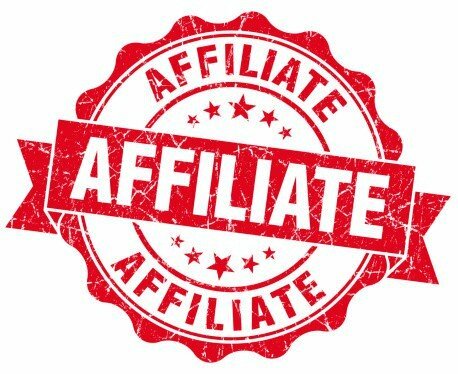 My clients use this for everything from parasites, to fungi, to bacterial imbalances. A must buy! Have tried many herbals, but have sensitivities to many, and symptoms of gas and reflux make it a challenge to treat my condition - garlic is one I have always tolerated better, so was encouraged to learn about allimax and that it is being used successfully against SIBO. Taking a small dose nightly now, and it doesn't seem to aggravate my reflux or produce any garlic burps. Just re-ordered and hoping I can step up to a higher dose soon. Allicin seems like the best way to combat bacteria, fungus - hoping for a return to better intestinal health through Allimax. I'm on my second bottle of Allimax. It is a help, but I still have a couple weeks left. So not ready to re-order yet. Wondering why there are only 30 per bottle and why not in blister packs. 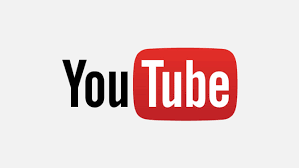 I believe the UK brand is just a bit stronger. This is the number one go-to when getting a cold or flu. Any respiratory conditions are irradiated promptly using this product. There's nothing better if you want to get and stay well!